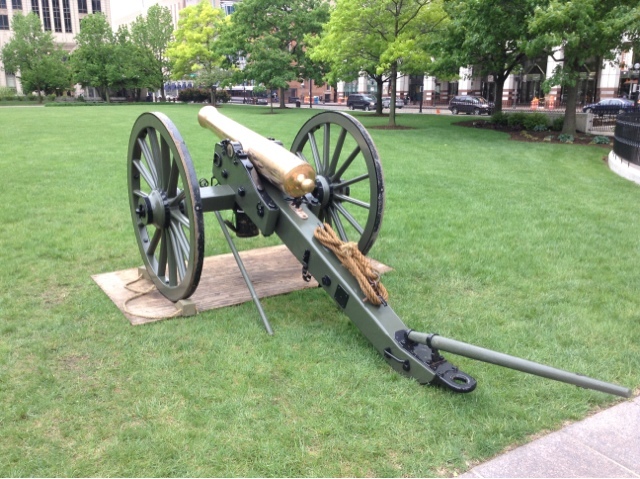 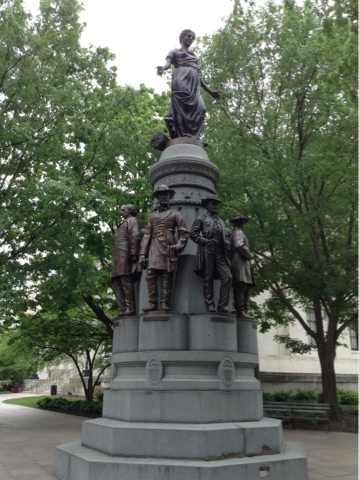 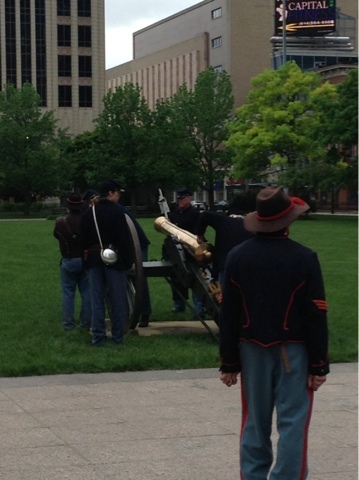 Yesterday I happened upon one of the encampments that the 1st Ohio Light Artillery does at the Ohio Statehouse downtown. 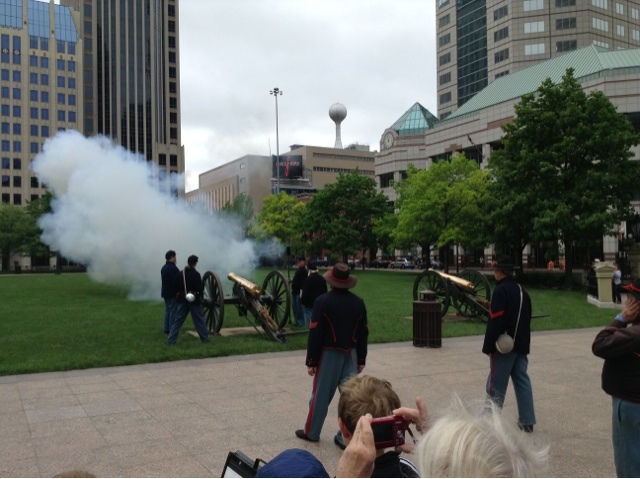 It was really neat to see cannons being fired and hearing the reverb off the downtown skyscrapers. 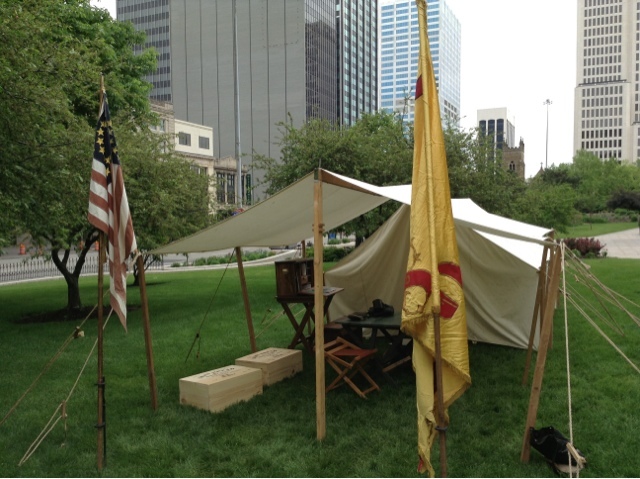 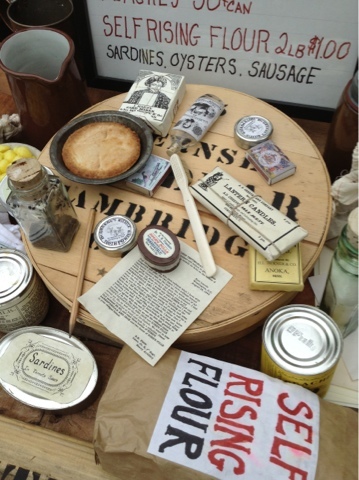 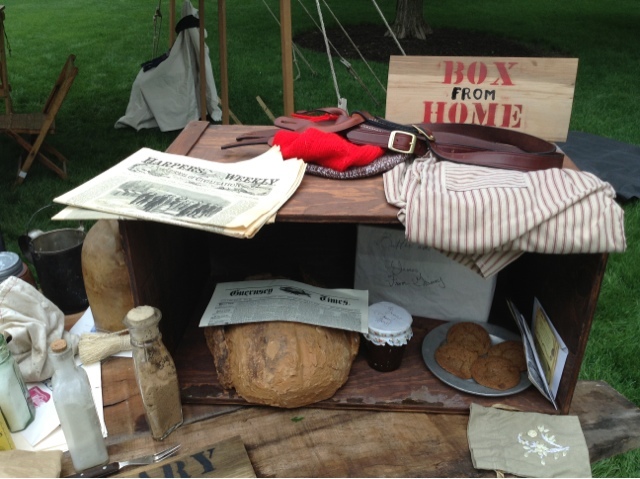 The unit will be hosting a full scale reenactment at Ohio Village (next to the Crew Stadium) on Memorial Day weekend.